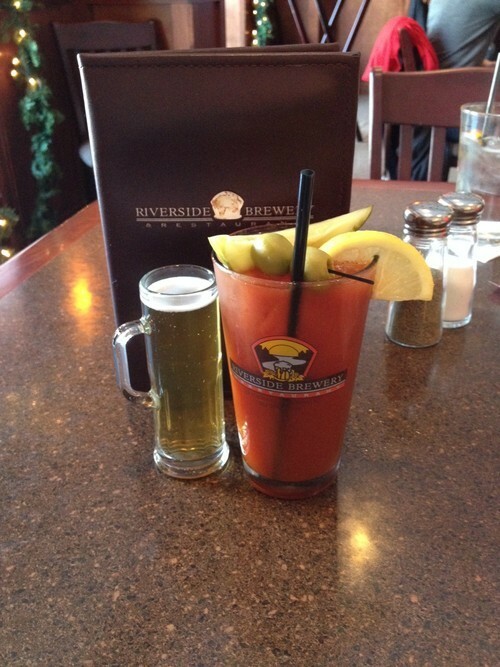 Yesterday, I visited Riverside Brewery & Restaurant in West Bend for lunch and a Bloody Mary. This drink was very flavorful, so I inquired to our server, Brad, as to what mix they used. 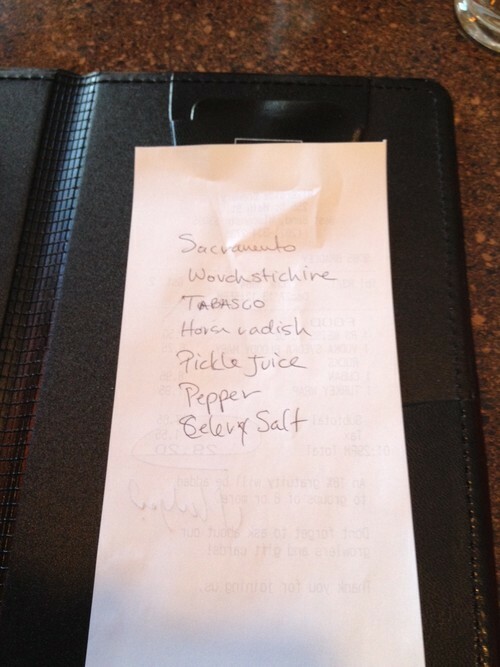 I was not surprised to discover that they create their own using Sacramento tomato juice. Usually, when I really enjoy the flavor of the base of the Bloody, it’s either Sacramento Bloody Mary mix (which is, sadly, only available to restaurants) or made using Sacramento Tomato Juice. It’s just got that light, fresh flavor to it. I appreciated him going above and beyond and I loved this drink (although it really could use a few more fixin’s). Thanks to Brad for a great Bloody!